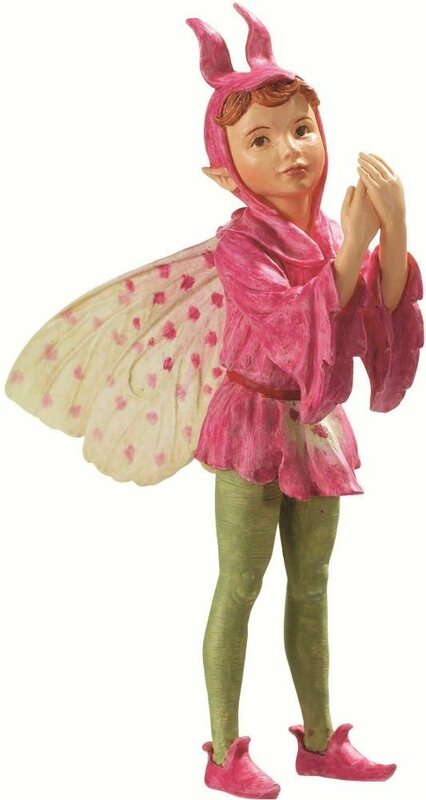 Beautifully hand painted Orchis Flower Fairy figurine. Optional gold string and wire pick included for securing in your display. Comes in a plain white box, not display box. the sunshine, and the dew. what miles away you are! how far, how very far!